Your roof is one of your home’s most important components; after all, it’s the first line of defense against the elements. 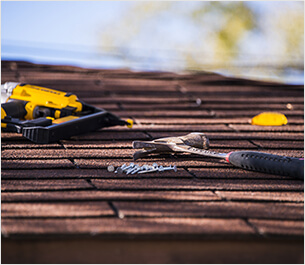 This means that if you need work done on your roof, whether you need simple repairs or complete replacement, you’ll want to hire a reputable roofer that you can rely on to do the job right. Poor roofing work can not only leave your home vulnerable as a result of poor protection against the elements, it could also result in a safety issue (the last thing you want is to have a roof that risks collapse). However, hiring a trustworthy and reliable roofer is a lot easier said than done. 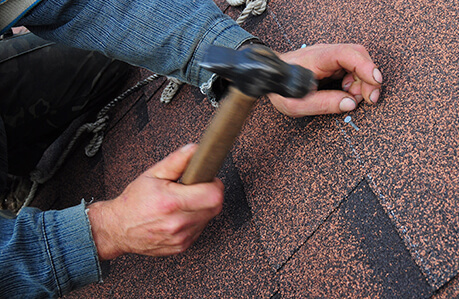 The following is everything that you need to know about hiring a roofer. Whether you need a new roof or roof repairs, you’ll want to schedule a roof inspection the moment that you notice that anything is wrong with your roof. A roof that needs to be replaced could potentially be dangerous and could leave your home vulnerable to all kinds of damage, while issues that can be repaired could grow worse if left unaddressed, resulting in problems that may become even more costly to repair or that could lead to the need of roof replacement. There’s shingle damage. Damage to the roof’s shingles can leave the roof exposed to water damage and rot. Additionally, when one or two shingles are damaged, they leave adjacent shingles exposed to potential damage. 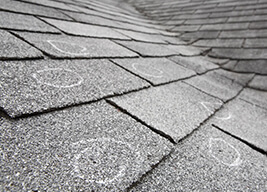 Missing shingles and shingles that have been cracked or torn should be replaced as soon as possible. The roof is leaking. You can tell if your roof is leaking by any water spots that are appearing on your ceiling. If you have an attic, then head up there when it’s raining out to see if there are any water leaks. You can also tell if there are leaks by inspecting your attic during the afternoon. If you see sunlight coming in through the roof, it means that there is a leak. In some cases, these leaks may be caused by damage done to the metal flashing or rubber seals that surround your chimney, skylights, and vents. In such cases, flashing can be replaced or resealed to eliminate the leaks. There’s moss growing on the roof. Obviously, moss should not be growing on your roof. If it is, it means that the plywood or boards beneath your roof’s shingles are likely rotting. If the moss growth isn’t extensive and the rot isn’t severe, you might be able to just have the affected plywood or boards replaced. There’s granule in your gutters. Look inside your gutters for the presence of granules. Granules that have washed off the shingles and into the gutters are a good indication that your roof needs to be replaced. The more granules you find, the more likely it is that you have to replace your roof. There’s significant shingle damage. While some damaged shingles can simply be replaced, certain types of damage might indicate that the whole roof needs to be replaced. For example, if you notice that your shingles are beginning to curl or buckle. The roof valleys are compromised. If you notice that there are missing shingles or damaged shingles on the roof valleys, then it’s almost a sure thing that you need a new roof. If the valleys of your roof are compromised, it means your home is much more susceptible to roof leaks. The roof is leaking. If you notice leaks in your roof and they’re not caused by damaged flashing, then there’s a good chance that it’s the result of a problem with the roof’s underlayment. The roof is letting in moisture. If the humidity levels have increased in your home, especially in the attic, it may be because your roof is letting in too much moisture. Excessive moisture can result in water stains, discoloration, mold growth and more. You can also tell if the roof is letting in moisture by checking the attic insulation – if it’s moist, then you’ll know that you have a problem. The roof deck is sagging. Visually inspect your roof for any sagging areas. If large sections of your roof are sagging, then odds are you need to replace your roof as soon as you can. Your roof has reached the end of its lifespan. Once your roof has reached a certain age, it becomes more susceptible to damage. Generally speaking, most roofs need to be replaced once they reach the 20 to 25-year mark. Do You Know the Condition of Your Roof? All roofs degrade over time. Unfortunately, most homeowners don’t notice the early signs of roof damage. 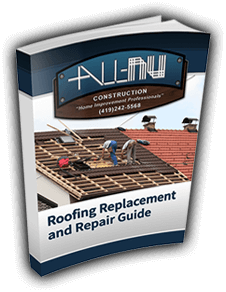 This guide will provide you with the proper understanding of the types of roofing materials, signs of wear, and cost involved. Don’t miss out! Schedule regular roof inspections. Getting your roof inspected even though you don’t think anything is wrong with it is a very prudent idea. 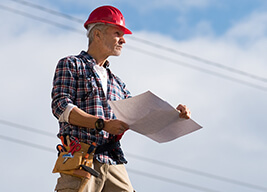 A roof inspector will do a thorough inspection to identify any potential issues, allowing them to make minor repairs before any major problems are able to develop. Pay attention to your roof’s condition. Look for signs of repair on a regular basis, especially following severe storms. The moment you notice any problems, schedule an inspection with a roofer to make the necessary repairs as quickly as possible. 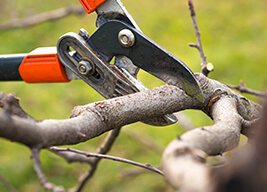 Trim nearby tree branches. Keep an eye out on any tree branches growing close to your roof. During inclement weather, branches may break off and fall. You won’t want this to happen on your roof, so make sure nearby branches are safely trimmed back. Clean your gutters regularly. To ensure that your gutters do their job (draining rainwater away from your home), clear your gutters of dirt and debris regularly. 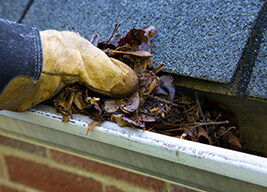 If you don’t, debris could end up clogging your gutters, causing water to build up inside. When this happens, not only could your gutters experience damage, but the water collecting in the gutters could leak through your roof. Want More Information On Roofing? Because replacing your roof can be a bit pricey, you might be wondering how much of the cost your homeowner’s insurance will cover. 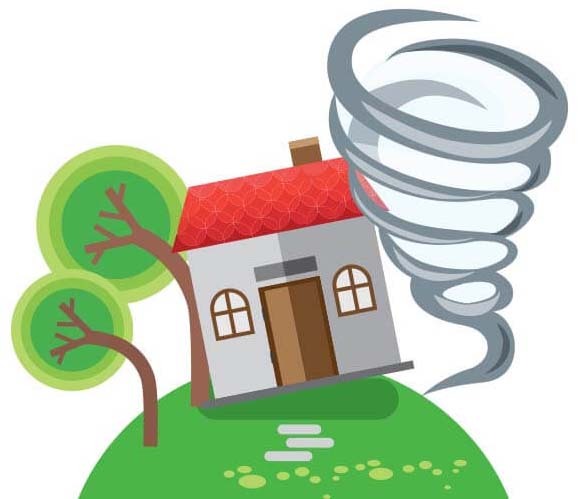 Usually, homeowner’s insurance will cover damage caused to your roof by fire and vandalism as well as acts of nature, which includes damage caused by hurricane-force winds and ice storms (depending on where you are located). However, sometimes what is covered and what isn’t varies. For example, flooding damaged caused by damage to the roof may not be covered by the standard homeowner’s policy (you typically need to buy a flooding insurance rider to cover flooding damage). It’s also your responsibility to maintain the roof. This means that in some cases, a leaking roof might be covered by an all-peril policy, but the actual repair of the roof may not be. if the tree branch was dead or the tree was rotting before it fell, then it was your responsibility to remove that tree or cut down that tree branch, which means your policy may not cover the damage done to your roof. Just make sure that you contact your insurer and that you find out exactly what is and what isn’t covered when it comes to your roof. This will give you an idea of whether or not you need to buy extra insurance for extra protection if you decide you need it. The higher quality the material, the more expensive the roof is going to be. For example, metal tiles are going to cost a lot more than asphalt tiles to install. Typically speaking, a square foot of basic composition shingles will cost around $3. As you can imagine, the bigger your roof is, the more it’s going to cost. Flat roofs are a lot easier to install than steep roofs. The steeper it is, the more complicated the installation will and the more costly it will be. 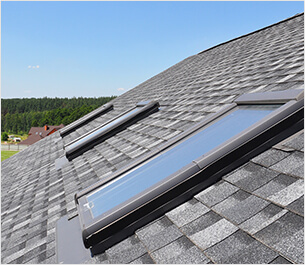 If you have a lot of skylights, chimneys or other features, it’s going to be more difficult to work around, making the installation more expensive. The amount of effort put into installing the roof (which depends on many of the previous factors) as well as how difficult it will be to remove the existing roof, will impact the price as well. Asphalt shingles are arguably the most popular type of roofing material. They’re typically made using a combination of cellulose or fiberglass and there are two main types: asphalt composition shingles and asphalt architectural shingles. Asphalt composition shingles are the more common type. Not only can they last for up to 20 years, but they are one of the cheapest roofing options on the market. Asphalt architectural shingles are made of two layers that are bound together with an asphalt sealant. This makes them more resistant to wind and fire. While a little more expensive, they’re still relatively affordable when compared with other types of shingles — and they can last anywhere from 30 to 50 years to boot. Wood shingles have long been a classic choice in part because of its natural beauty. In fact, they go well with almost any type of home style, from cottages to bungalows and more. There are many types of wood to choose from, including redwood, western red cedar, pine, and cypress, just to name a few. They’re also very effective for roofs that are steeply pitched. Wood shingles are comparatively affordable at roughly $4 to $7 a square foot. However, a lot of maintenance is required to keep wood shingle roofs in good condition. They will need to be regularly treated in order to prevent water damage and mold growth — and as you might have guessed, wood shingles aren’t exactly resistant to fire. When it comes to durability, few types of roofing can match with the strength of metal shingles — unsurprisingly. Metal shingles are particularly effective against high winds, hail and thunderstorms, and they won’t crack or rot. They can help reduce your energy costs as well by reflecting heat in the summertime. The one drawback is their cost. Expect to pay as much as $9 per square foot. When it comes to durability, few types of roofing can match with the strength of metal shingles — unsurprisingly. Clay shingles are particularly effective against high winds, hail, and thunderstorms, and they won’t crack or rot. They can help reduce your energy costs as well by reflecting heat in the summertime. The one drawback is their cost. Expect to pay as much as $9 per square foot. Slate has a very luxurious look to it that makes it a good fit for European-style homes. Slate has many of the benefits that clay has, such as its resistance to moisture, fire and the elements. Also like clay tiles, slate shingles are quite heavy. Unfortunately, slate can break under the weight of someone walking across it, which means all inspections and maintenance task must be done with utmost care. It’s also one of the most expensive types of materials available. Expect to pay at least $20 a square foot. 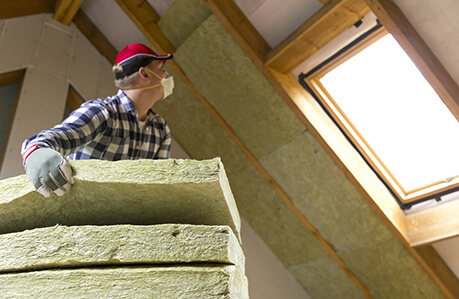 Insulating the attic space is an important step towards helping to preserve your roof. Heat tends to rise, which means it will eventually reach your roof. This can be problematic since you’re wasting energy on heat that’s escaping through your roof. By adding insulation in the attic space, not only do you make your home more energy efficient, but you’ll also prevent heat from rising up in the winter season and melting the bottom layer of snow on the roof. This is bad, because the top layer may remain frozen as a result of the cold weather. This can cause water to just sit on the roof, eventually leaking in and causing damage. 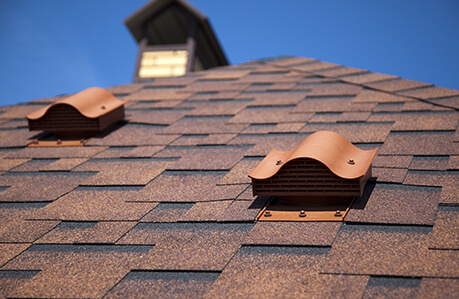 Ventilation is extremely important to the condition of your roof. This is because proper ventilation helps remove heat as well as moisture from the attic area. If trapped inside, it can lead to mold and mildew, in addition to potentially warping the components of the roof over time. Proper ventilation requires a balance between air intake and air exhaust. The amount of ventilation a roof should have varies depending on the size of your roof. According to the Federal Housing Administration (FHA), for every 300 square feet of floor space in your home’s attic, you should have at least one square foot of roof ventilation. Getting the biggest drawback out of the way — tear off roof replacement takes more time and work, which means it’s going to be more expensive. However, if you have serious problems with the underlayment and not just the shingles, this may be the way to go. You’re guaranteed to have a perfect roof as long as it’s installed correctly, and it’s much more likely to last a longer time with fewer issues in the future. 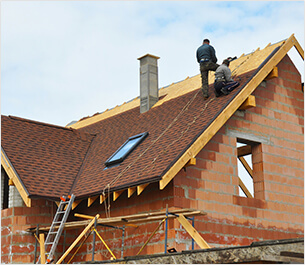 A complete roof replacement will also add value to your home. Overlay is much cheaper since the old roof doesn’t need to be removed. It will also take less time to complete the installation. However, new shingles won’t last as long if they’re laid over an old roof. Your roof will also weight much more, which means that the overlay process may not even be possible if your home’s structural integrity will be compromised as a result. Additionally, it will be harder to check for problems, such as leaks or rot. Think of the overlay method as more of a temporary replacement since you’re eventually going to have to replace the whole roof. Look up customer reviews. First of all, be wary of any roofers that don’t have any customer reviews online. If they do have customer reviews, read through them to get a general gist of their reputation. Remember, one or two bad reviews doesn’t always reflect properly on their reputation, especially if they have 30-40 positive reviews as well. Check with the Better Business Bureau. You can find out how trustworthy they are by checking with the Better Business Bureau website. If any complaints have been submitted, pay attention to whether the roofer made an effort to address those complaints. Make sure they’re fully insured. Every roofer should be fully insured. Working on a roof is dangerous by the nature of the job. If they don’t have proper insurance, you risk being liable for anyone that’s injured on your property or for any damages that occur to your home during the roofing repair or replacement process. Make sure they’re fully licensed. Make sure they’re licensed to work in your area. Not only is this a sign of legitimacy, but it means that they should be aware of all local building codes and regulations. Find a contractor with experience. The more experience a roofing company has, the less likely they are to make mistakes. Not to mention that a poor quality roofer is less likely to last for very long. 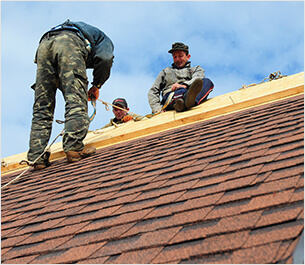 Additionally, try to find a roofer with experience repairing or installing the type of roof you have or want. Compare their bid with others. 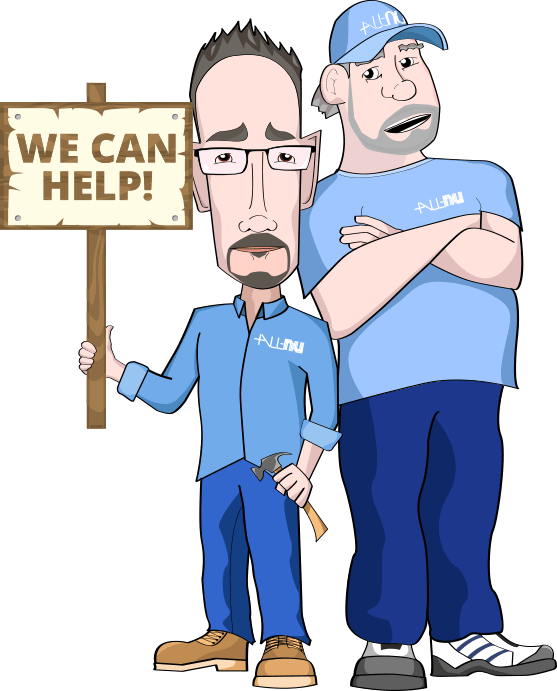 Be very wary of any roofer that makes a bid that is much lower than their competitors. Here at All-Nu Construction, we are a fully licensed, bonded and insured roofing company that has been serving the Toledo area since 1996. 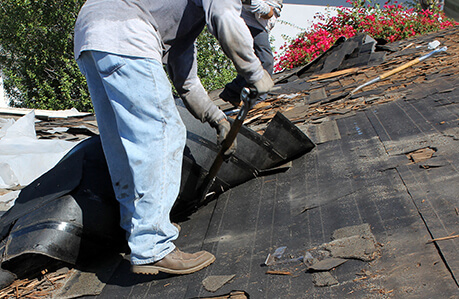 Since that time, we have built a reputation throughout the community as one of the most reliable roofers in the area. 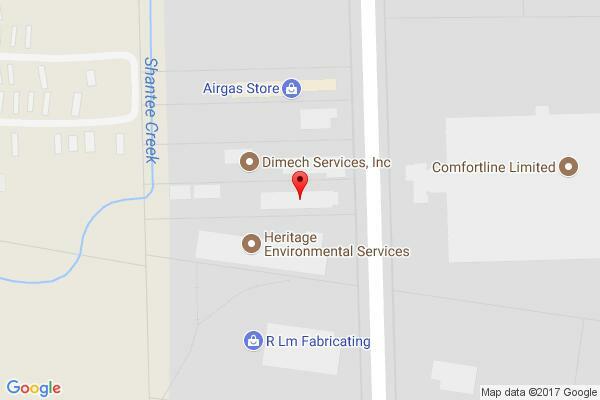 We’ve maintained this reputation through our dedication to high-quality work and exceptional customer service. We work closely with each of our clients to determine their unique needs — and this is what sets us apart. Find out more about our roofing services by contacting us at All-Nu Construction in Toledo, OH, today. Fill out the form below and All-Nu Construction will contact you to get a Free Estimate for your roofing needs.